President Barack Obama's spending Labor Day afternoon in Milwaukee at an annual union festival. It's quite a party: Parade organizers were still looking for volunteers to help carry the giant protest puppets of the Earth Goddess and such. Pity, then, that Russ Feingold, the incumbent Democratic senator in a neck-and-neck race, can't hang out with the president. But Obama and puppetry just aren't the right atmospherics these days, are they? Feingold, three terms in office and now tied with a plastics manufacturer no one heard of five months ago, will be at Laborfest earlier in the day. By afternoon, he'll have scampered far from Obama, to a parade in his hometown, Janesville, where the General Motors bailout didn't save the truck plant and unemployment is now double-digit. A spokesman said Feingold asked the White House to change its schedule, but you know how these things go. Ask yourself: If you were an embattled senator, famously progressive and customarily elected by students, unions, peaceniks and others who dig giant protest puppets, and your state was going to be visited by a president who two years ago drew swooning arena-sized crowds of just such voters, do you think you could rearrange your schedule to absorb his magic? This is the measure of Obama's fall: Even senators who define the Democrats' leftward edge act like he's got cooties. You can see it elsewhere, too. Democratic Rep. Joe Donnelly's TV ads in wrung-out northern Indiana use Obama as a symbol of "the Washington crowd." Donnelly disavows membership. Democratic Rep. Travis Childers of Mississippi boasts on television of voting against his president's budget. Colorado Sen. Michael Bennett, asked whether he wanted Obama back to help campaign, replied, "We'll have to see." Feingold's spokesman noted the senator stuck to Obama faithfully during the president's last visit to Milwaukee, weeks ago. And it's true, though that visit was telling. Before, in June, Obama spoke in industrial Racine, Wis., unemployment rate 14.2%. It was the last time just any old Wisconsin schmoe could come see him. "I want to tell him to bring some jobs to Racine and quick," one woman in the crowd of 1,300 told a reporter. Then in August, Obama came to Milwaukee, touring a company, employment 30, that's using federal money to make newfangled batteries. Feingold was there, but the tour was closed to the public. So was the party fund-raiser lunch afterward, then the president left town. Monday's Laborfest is open to the public -- just get your tickets, free, from your union. You are in one, right? So the president, now at 48% approval in a state he won with 56% of the vote, will face a distilled crowd. Even there, he isn't quite the mass phenomenon he so recently was. Rather than filling the big lakefront amphitheater he used at 2008's Laborfest, he'll be at a smaller side stage on the grounds, more in line with political realities. Many presidents fall in public esteem by mid-term, but with Obama, the change is more fundamental. What put him in office certainly wasn't experience, nor was it any explication of the agenda that, now revealed, has frightened off one in four of his voters. Rather, it was that he was the great center hope, a man to unite factions and span fissures. That's gone, say polls. The center no longer hopes in him, and so when he appears in a state where his party's senatorial and gubernatorial candidates are in deep trouble, he can appear only before a crowd heavy on AFSCME and SEIU. A Democratic pol explained to me that Feingold is reluctant to appear near a president who is to his left. If true, this itself is rich. Feingold lately has been calling himself a penny-pincher because he opposed earmarks. He also voted for Obama's stimulus, for Obama's swollen budget, for Obamacare and against the president's jihad on the financial sector only because he didn't think it punitive enough. As Obama yanked the nation to the left, Feingold kept pace. But -- again, if true -- it means a senator who in 2008 toyed with running for president as the Dems' unabashed progressive now finds Obama politically toxic. 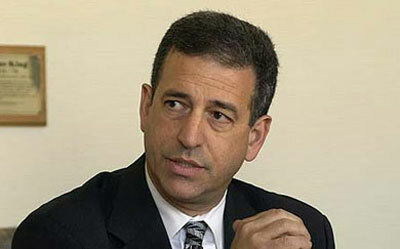 The president looks too liberal for Feingold. This isn't something that's cured by a couple months of better economic numbers. And it's trouble not only in won-over red states like Mississippi but in the land of giant protest puppets, too.